Waste coffee grounds will be used to help power some of London's buses from Monday, it has been revealed. A biofuel created by blending oil extracted from coffee waste with diesel is to be added to the public transport fuel supply. 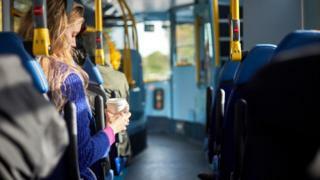 Will buses be run on coffee in future? Biofuel made using waste products such as cooking oil and tallow from meat processing is already used in many of the capital's 9,500 buses. However, this is thought to be the first time a coffee-derived biofuel has been added to London's public transport system. Buses can be powered using the fuel without the need for modification.